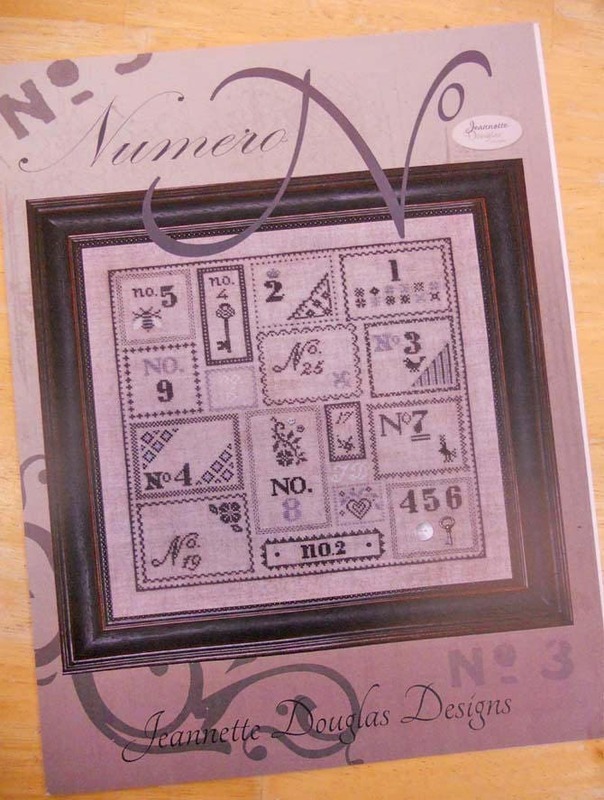 Numero by Jeannette Douglas Designs...cross-stitch design. Numero finishes at 10 7/8 x 10 3/4 inches. Pattern is stitched on 32 count linen. This pattern is a wonderful addition to any cross stitcher/quilters/crafters library.